Stream your CDs wirelessly to any Bluetooth speaker! No question about it: You amassed quite a collection of CDs over the years. The problem is you never really listen to them anymore, because of those messy, inconvenient headphone wires and speaker cables. It’s a hassle. 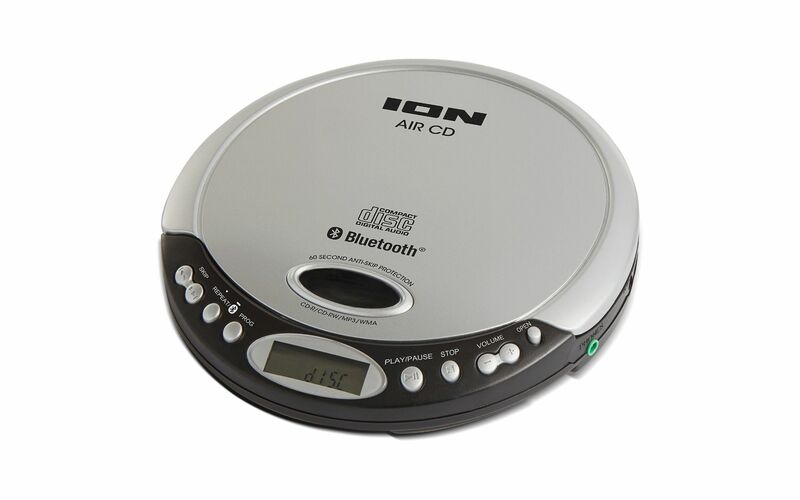 But ION’s Air CD solves this, because it’s a super-slimline portable CD player that transmits its signal wirelessly to any Bluetooth headphones or Bluetooth speakers, like ION’s famous Block Rockers. Now you’ll be able to enjoy all your old favorites again, even the ones you’ve never taken the time to download as MP3s. For added versatility, Air CD also has a 1/8-inch headphone jack for traditional wired headphones.